Little Urchin was developed by an Australian father after realising his daughter's skin was covered in chemicals from using mainstream sunscreen. 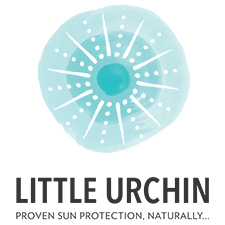 Little Urchin sunscreen is contains no harmful ingredients, so it is safe for use on the whole family. This sunscreen is Australian formulated and made, using completely toxin-free ingredients. It is free from UV absorbers, titanium dioxide, parabens, synthetic preservatives or synthetic fragrances. This brand has advised us that they do use some palm derivatives such as emulsifiers, where they make every attempt to use only sustainable sources.